I am an object, everywhere I go people clap for me. What am I? 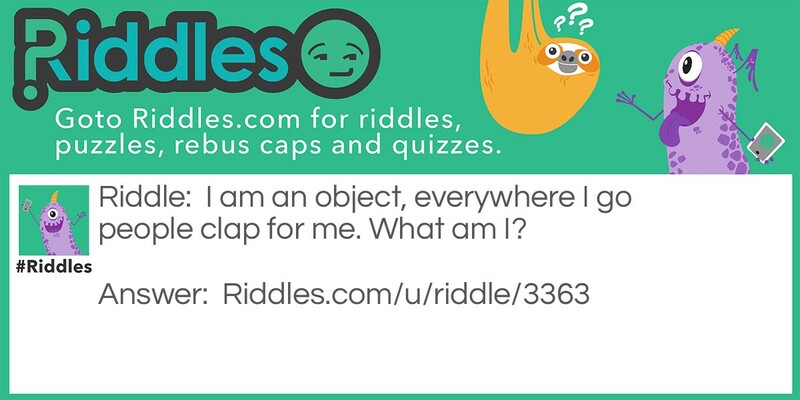 question Riddle Meme with riddle and answer page link.